Gauri Shankar Himal Trekking is the remote and relatively un-trekked trail in the Rolwaling region. 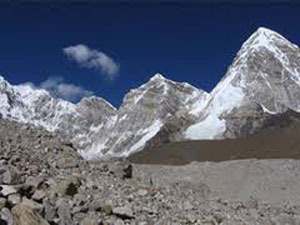 This trekking region is situated west of Khumbu region, northeast of Kathmandu and southern to the Tibetan Plateau. 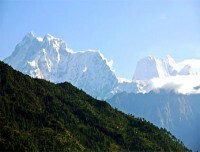 Gauri Shankar Himal is the sacred himal which is named after the Hindu god Shankar and Gauri (shiva and Parvati). This trekking is ideal for the novice who is looking for something unique. It is the challenging trek that requires the prior experience of the trekking and good physical fitness. 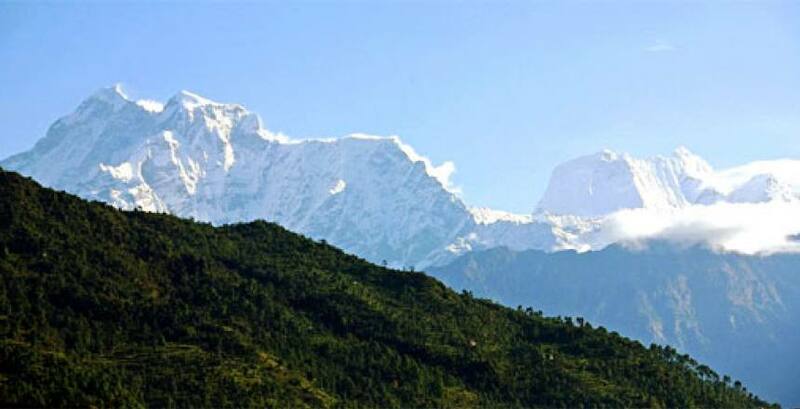 The Gauri Shankar Himal Trek will offer the trekkers the experience of charming mountain views, an assortment of flora and fauna and an opulence of local culture. This trek provides you the opportunity to enjoy the excellent panoramic view of the Gaurishankar (7,145m. ), Melungtse (7,181m. ), Ramdung and Pharchamo and other mountains as well as explore the culture and lifestyle of the Sherpa people in different settlements. The view of the glacial lake Tso Rolpa, the views of the Rolwaling glacier, beautiful Himalayan landscapes gives you the unforgettable experience. Gauri Shankar Himal Trekking gives you the wilderness experience. It is one of the finest tourist destinations of Nepal with unique environment and exceptionally rich bio-diversity of this region. This trekking region is famous for marvelous view of the Gauri Shanker, Rolwaling Himal, Chobabhamre, YalungRi, Pachharmo Peak, Dorjelakpa etc. Gauri Shankar trekking trail pass through sparsely populated areas, rhododendron forests with spectacular views of Mt. Gauri Shankar as the backdrop. In this trek you get insight in to the glimpse of the Sherpa Buddhism at Bigu Gompa 2500m, a monastery and a nunnery. Trekkers can explore varieties of flora and fauna as well as birds and animals like animals like Musk Deer, Himalayan black bear, Thar, Gaur and Wild Dogs. 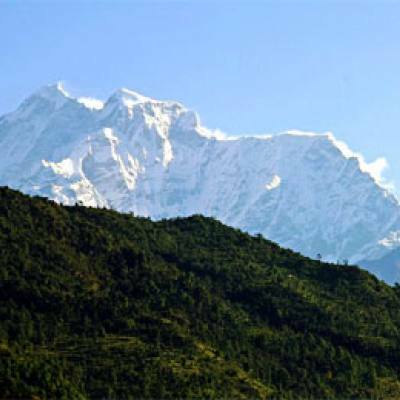 The best seasons to go for Gauri Shankar Himal trekking are spring and autumn. Day 18: Leisure day in Kathmandu. Day 03Scenic Drive to Dolakha This day we drive to Charikot of Dolakha district. On the way we can enjoy the beautiful scenery. We can also see the panoramic view of the Himalayas of this region. Day 04Charikot to Singuti From Charikot we climb down to Dolakha and pass through the forest and terraced farm. We cross the Tamakoshi River and reach Singuti where we stay overnight. Day 05Singuti to Jagat From Singuti we follow the river and walk in the mountain flank. On the way we can see the views of the mountains and mills of water project. Day 06Jagat to Simigaon (2020m.) This day also we follow the route of a long river Tamakoshi. The path is very difficult as we have to walk in the steep rocky hill. Day 07Simigaon to Doghang From Simigaon also we have to walk in the steep path. We pass through Sherpa villages. In the village you can explore their culture and tradition and enjoy their hospitality. Day 08Doghang to Beding (3693m.) Today we walk uphill and downhill and cross the pass of Doghang. Day 09Beding to Na This day from Beding we slowly walk in the ascending path for some time and then walk in the straight path. After some time we reach the Na village, where we can see the small houses and yak pasture. Day 10Rest day This day we take rest for proper acclimatization with some excursion around the village. Day 11Na to Chobuk This day also we walk on the straight path for some time. Then we climb down the hill to the moraine. Then we head to Chobuk where we stay overnight. Day 12Chobuk to Tashi Lapcha Phedi This day we have to walk in the difficult path to the Phedi of the Tashi Lapcha pass. At first we walk in the straight path for some time and then we climb the cliff. We have to use the rope while climbing the cliff. Then we continue our walk in the mountain flank. Day 14Theng Po to Thame (3800m.) This day we enter Everest region. From Theng po we descend to Thame, a Sherpa village. From Thame we can see the stunning views of the mountains like Thamserku, Kantenga, Kusum Kangguru etc. here you can explore the village and visit monastery established around 300 years ago. Day 16Namche to Lukla (2840m.) Finally we return to Lukla where the trek began, which will seem like a lifetime ago. Enjoying time to reflect on the trek as a group and the personal achievement of all those who took part. Also giving you time to explore the town. Overnight at Guesthouse. Day 17Flight to Kathmandu Enjoying your last glimpse of the mountains you have recently visited for one last time on the 35 minute Scenic flight back to Kathmandu. On arrival in Kathmandu we are met and transferred back to our starting hotel. Overnight at hotel. Day 18Leisure day in Kathmandu. It's also spare day in case of bad weather in Lukla.